Aside from alterations in energy balance, regular exercise brings about many physiological adaptations. 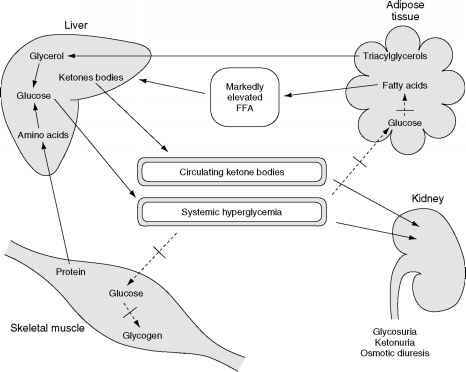 The human body is remarkably plastic in response to the increased metabolic demands of exercise training (overload), with many adaptations occurring that enable the body to function more efficiently. The nature and magnitude of these changes are dependent on the volume (duration and frequency), intensity, and type of exercise performed. For this reason, the physiological adaptation to training will be classified according to the nature of the exercise undertaken. Submaximal exercise generally refers to an intensity of exercise that requires less than an individual's maximal oxygen uptake. Submaximal exercise challenges the body to deliver and utilise an increased amount of oxygen in the resynthesis of ATP. 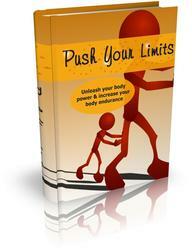 With training, changes occur that increase the body's ability to utilize oxygen. For simplicity, the adaptations to submaximal exercise training have been grouped according to the site at which they occur. Central adaptations Central adaptations to regular submaximal exercise include alterations in the morphology and function of the heart and circulatory systems that allow greater delivery of oxygen to the working muscle. The pulmonary system in healthy individuals does not provide a significant limitation to exercise, and therefore little alteration in the lung volumes, respiratory rate, or pulmonary ventilation and diffusion occurs as a result of training. Modest cardiac hypertrophy characterized by an increase in left ventricular volume occurs in response to training. This adaptation allows an increase in stroke volume, leading to a reduction in heart rate at rest and during submaximal workloads and an increased cardiac output during maximal workloads. Finally, an increase in total plasma volume and an increase in the total amount of hemoglobin have been observed in response to submaximal endurance training. Peripheral adaptations refer principally to changes in the structure and function of skeletal muscle that enhance its ability to use oxygen to produce energy aerobically. As a result of endurance training, there is an increase in blood supply to the working muscle. This is achieved by an increased capillarization in trained muscles, greater vasodilation in existing muscle capillaries, and a more effective redistribution of cardiac output to the working muscle. An increase in the activity of aerobic enzymes and an increased mitochondrial volume density (approximately 4-8%) within trained muscle have been noted. These are coupled with increased glyco-gen storage within the muscle and increased fat mobilization allowing a higher rate of aerobic ATP resynthesis from free fatty acids and glucose.